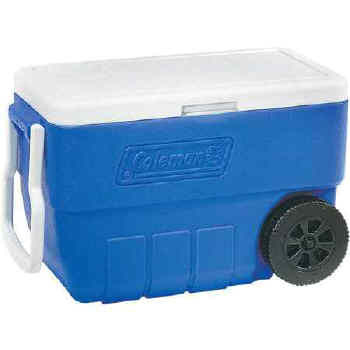 Cooler offers a tall, wheeled design that makes taking it along easy—on any terrain. It holds 2 L bottles, wine bottles, or 64 drink cans too. Plus its oversized handle makes rolling it more comfortable. Comes standard with Thermozone™ insulation, a hinged lid, and a rustproof, leak-resistant drain.